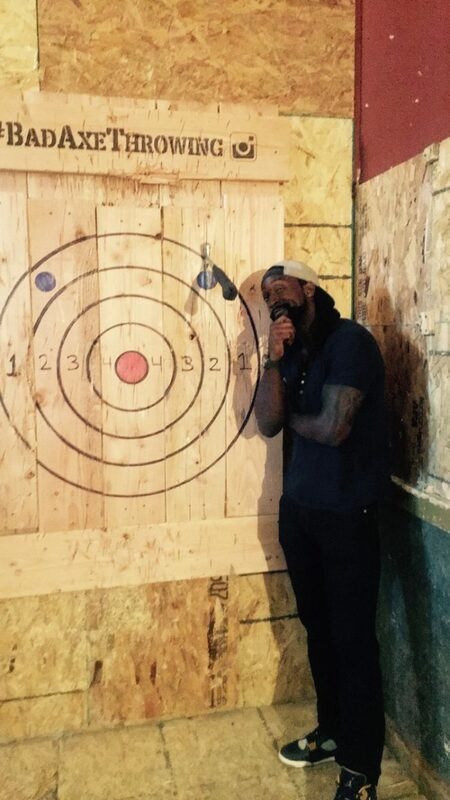 Chicago Bears Peanut Tillman & Spice Adams at Bad Axe Throwing Chicago! 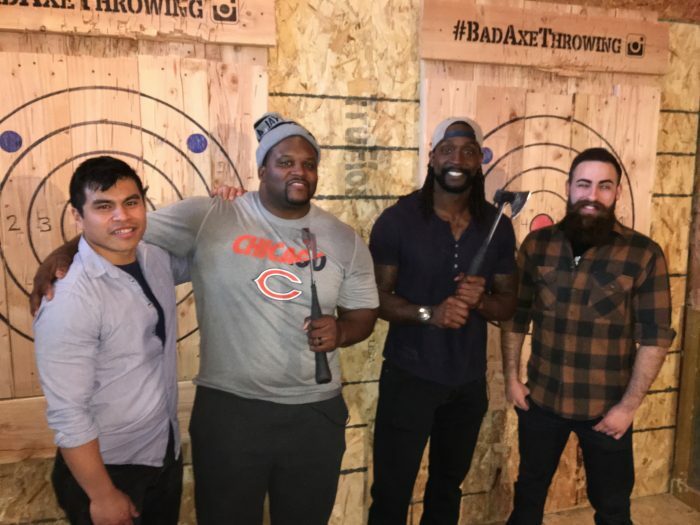 We had a riot of a time at Bad Axe Throwing Chicago when former Chicago Bears players Peanut Tillman and Spice Adams dropped by! Since both Spice and Peanut are natural athletes, the friendly competition was a close one. Peanut held out for as long as he could, but Spice came out on top after a few rounds of pure skill. They’re both pro axe throwers already. Peanut and Spice, we’ve found your new calling. It’s no surprise that Peanut would be a natural at the double axe trick-shot. Who says victory dances are only for football? Watch Peanut’s celebration! Thanks for coming out, Spice and Peanut! We hope you’ll be back for more axe throwing soon! Catch full coverage of their visit which airs on TV in the Chicagoland area on April 8 and April 9. Also, stay tuned for content to be released on Peanut and Spice’s visit at Bad Axe Throwing at the official Chicago Bears website on the week of April 10. Want to experience axe throwing for yourself? Book with Bad Axe Throwing – spots fill quickly and we’re super excited to have you!